The San Juan County Master Gardeners are pleased to welcome Craig Cogger, WSU Soil Scientist Emeritus, and Everett Chu, Owner of Azusa Farm and Gardens LLC, Certified Professional Horticulturist and Landscape Designer, to the Annual Gardening Workshop. Dr. Cogger will discuss “Assessing and Amending Your Garden Soil,” with guidelines for testing, fertilization and organic amendments. 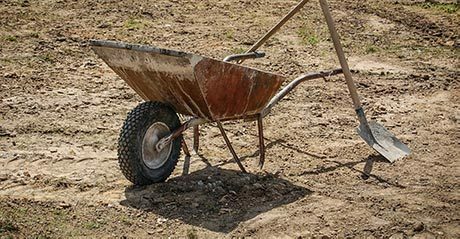 Learn how to do a backyard soil structure test to understand what type of soil you have, and how to choose fertilizers and organic amendments for a healthy soil ecosystem. Mr. Chu will discuss the “Drought Resistant Landscape,” the advantages of a sustainable, aesthetically pleasing, drought-tolerant landscape. He will explain how to design, plant and maintain a garden that supports biodiversity, is ecologically sound and cost-effective. His presentation includes many recommendations for trees, shrubs, forbs and grasses that do well with minimal water. The Annual Gardening Workshop is a day-long event, with noted authorities speaking on a wide variety of topics of interest to PNW coastal gardeners. This year our keynote speaker is the respected author, speaker, editor and ‘horticolorist’ Lorene Forkner Edwards. The author of five gardening titles including the bestselling “Handmade Garden Projects” and the “Timber Press Guide to Vegetable Gardening: Pacific Northwest.” Lorene is the editor of Pacific Horticulture, a magazine that supports the power of gardens to enrich life and help heal our planet. She is passionate about personality-infused garden spaces and the beautiful, fruitful, and innovative landscapes of our region. Multiple choices allow you to plan your day to attend sessions of interest to you. Topics include common pests, diseases and fruit disorders; pruning objectives and basic pruning skills; how to grow cabbage and its relatives for a year-round harvest; eating seasonally from your garden for nutrition and health; magical ornamentals: roses, salvia, and the drama of foliage; 25 tips to make you a better, smarter gardener; and how to determine what’s wrong with your plant. Purchase tickets here. Tickets are $40 online, $45 at the door. Advance purchase highly recommended. The Annual Gardening Workshop is presented by the Master Gardener Foundation of San Juan County in Cooperation with the San Juan County Washington State University Extension. Reasonable accommodations will be made for persons with disabilities and special needs who contact the WSU San Juan County Extension office at 360-370-7663 or ma.sanjuancounty@wsu.edu at least two weeks prior to the event.